Unequaled duel in the quarter-finals of the Turkish Cup: Galatasaray Istanbul, his Turkish record cup winner with 17 titles get it in the round of the last eight with Hatayspor to do, the last season, the promotion to the 1st Lig, so managed the second highest Turkish league. The first leg will take place on Wednesday at Türk Telekom Arena in Istanbul. The Turkish champion is considered a big favorite, but in all likelihood will not send the very best of them to the pitch. And yet: After the defensive change in the winter, the game against the second division for coach Fatih Terim is a good way to let the new formed defensive continue to grow together. In the game of Galatasaray against Hatayspor a prediction does not seem to be too difficult. Backlog increased! On Saturday, Galatasaray did not go beyond 1-1 in the away game at Alanyaspor, forcing points on leaders Basaksehir. With 14 games to go, Galatasaray are now in second place, eight points behind the city’s rivals. The title defense in the Süper Lig seems so far away. 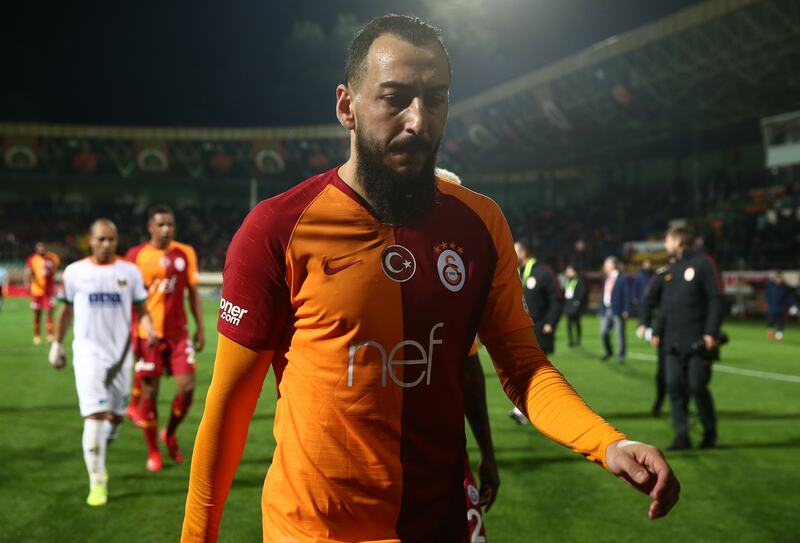 It will not console Galatasaray that the club had been unbeaten in a competitive match for the eighth time in a row at the weekend. At national level, Galatasaray is undefeated even for ten competitive matches. Galatasaray have also been without defeat in the ten Süper Lig home games this season – the only one of the top 18 teams from Turkey. With currently six wins and four draws in these ten home games Galatasaray is currently in the home table currently only in second place. The last time that Galatasaray lost a game in a national competition at home was on 18.04.2018 – in the semi-finals of the Turkish Cup! After a 2-1 win in the first leg Galatasaray lost at home the second leg against Akhisarspor 0-2 and thus missed the entry into the final. There Galatasaray was already 22x. The club won the Türkiye Kupasi 17x, five times it was the defeated finalist. If you add the home games in the Champions League, then you find out that Galatasaray lost just one of fifteen competitive games at home this season. There were eight wins, but also six draws. In this respect, Galatasaray is hard to beat at home, the Turkish record champion is not overpowering in this season at home, even if especially the last home appearances may say something different. The last three home games could Galatasaray win after the club but had previously remained without victory in seven home games in a row – six draws, one defeat. But shot Galatasaray in the last three home games a whopping 14 goals. In the game of Galatasaray against Hatayspor a tip is close to the home side and the odds are even relatively high. Sixteen years after relegation to the third Turkish league and after Hatayspor had even relegated to the fourth league in the meantime, the Antakya club returned to the first league this season. The newcomer holds considerable! After 20 matchdays, Hatayspor is in a strong fifth place that would qualify for the promotion up at the end of the season. There was a small damper last weekend when Hatayspor did not beat a 1-1 at home to Denizlispor. Damned because Hatayspor had to swallow the goal to 1-1 final score in the final minute, small because the club with Denizlispor received none other than the current leader of the first Lig. The draw ended at the same time a series of five league victories in a row. Hatayspor is in the middle of the promotion race and the gap to the current flagging Gençlerbirliği in second place, which means direct promotion, is just five points. The primary goal of relegation is already more or less bagged and if the opportunity arises, then Hatayspor would certainly not deny a march into the Süper Lig. Hatayspor are as strong abroad as they are at home, so you can not even say that the promoted player owe his good position to home games. Hatayspor has been unbeaten in nine matches in the second Turkish league and has won six of them. That Hatayspor can also compete with the big boys from Turkey, showed up in the last sixteen of the Turkish Cup. Because there Hatayspor threw none other than the current leaders of the Süper Lig Basaksehir from the competition. After the 1-0 defeat in the first leg in Istanbul, the outsider turned at home and won 4-1! Accordingly, the outsider goes without fear in the first leg at Galatasaray. And yet: In the game of Hatayspor at Galatasaray, despite high odds of a tip to the very big surprise. The direct comparison is dealt with quickly in this game. The duel on Wednesday in the first leg of the quarter-finals of the Turkish Cup is the first clash between these two teams. Therefore, it should be mentioned at this point instead that Galatasaray in the rounds before partly happy against the unterklassigen teams of Keciörengücü (1-1 at home, 2-1 away) and Boluspor (4-1 at home, 1-0 away) prevailed while the route from Hatayspor to the quarterfinals was already significantly longer. On the way to the last eight, Hatayspor switched to the amateur clubs Erokspor (2-1 at home) and Fethiyespor (3-1 at home) and Gençlerbirliği league rivals (2-1 away, 2-0 at home) and Basaksehir (0-1). 1 away, 4: 1 at home). Twenty-one Turkish championships and seventeen cup matches meet Turkey’s second highest league title for 24.5 years, which is one of Hatayspor’s achievements, alongside a handful of championships in the lower leagues, including last season, when the club champions in the red group of 2 Lig became. However, Hatayspor did not beat Basaksehir until the final round, though that is not always the case, even though the Istanbul club are far from achieving the success of the Galatasaray lions. Both coaches can basically draw on the full, but it is the question of whether Fatih Terim will do it in the first leg at home. He should certainly be warned about the second division. Most likely, the three winter entrants Marcão, Christian Luyindama and Semih Kaya, which are to replace the defending center-back Maicon, Ozan Kabak and Serdar Aziz, come to operating minutes. Galatasaray may well have analyzed Hatayspor’s game against Basaksehir. At home, the Turkish champions should submit, otherwise could threaten in the second leg of the exit. A victory for the lions in the first leg on home soil is very likely. The first leg at Gençlerbirliği and Basaksehir has lost Hatayspor. However, the guest can play well and after the last performances Hatayspor is quite capable of scoring a goal, especially because the new defense of Galatasaray still has to play. Therefore, in the game between Galatasaray and Hatayspor, I recommend that both teams to score and the hosts win the game in the end. For this option, there are odds of up to 3.10 in the game of Galatasaray vs. Hatayspor.